YUMA — Just moments ago, Governor Doug Ducey joined elected officials and water leaders in Yuma to commemorate the passage of the Arizona Drought Contingency Plan. 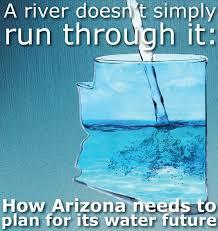 Alongside State Senators Lisa Otondo and Sine Kerr, State Representative Tim Dunn, Yuma water leaders Mark Smith and Wade Noble, members of the Yuma agricultural community and other stakeholders, Governor Ducey spoke about the historic legislation and the need to continue working together to secure Arizona’s water future. Following the signing, Governor Ducey delivered the Yuma State of the State address at Arizona Western College. View the governor’s full remarks at the signing HERE.